Cloning genes is now a technically straightforward process. Usually, cloning uses recombinant DNA techniques, which were developed in the early 1970s by Paul Berg, of Stanford University, and, independently, by Stanley Cohen and Herbert Boyer, of Stanford and the University of California. These researchers devised methods for excising genes from DNA at restriction enzymes precise positions, using restriction enzymes and then using the enzyme enzymes that cut DNA known as DNA ligase to splice the resulting gene-containing fragment into at a particular sequence , . , a plasmid vector. 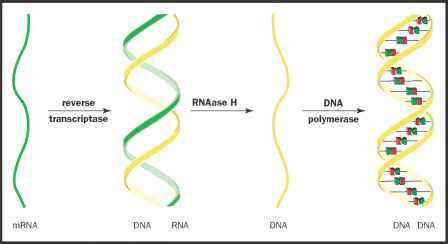 cDNA is double-stranded DNA that is synthesized from single-stranded messenger RNA. cDNA has all the coding and regulatory regions of the original gene, but no introns.